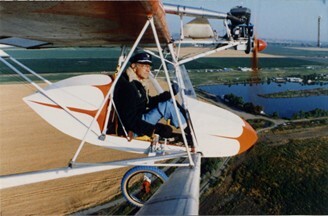 The VJ-24W is a modified version of the VJ-24E hang glider. 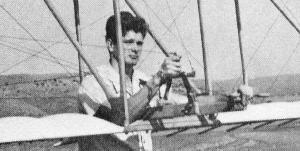 Two main wire wheeled bicycle wheels were added as the main landing gear along with the tractor type engine and a full three-axis flight control system. Construction is of aluminum tubing with a Dacron covering material. The fairing behind the pilot significantly reduced the drag on the airplane. The wingspan is 36’ 6” and the fuselage is built around a keel tube that extends back to the tail group giving it a length of 18’ 6.” The weight of the pilot is restricted to a maximum of 200 pounds. The aircraft empty weight is 165 pounds. The aircraft can climb at 350 feet per minute.